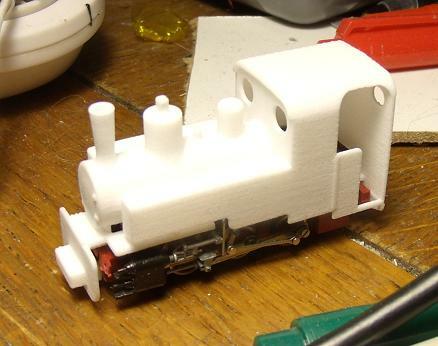 It uses the Roco N gauge chassis. I had done a sketch to show how a stretched version of the 1/35 scale version might look for Gn15, and was thinking I could actually stretch the OO9 version into an O9 version. I was amazed myself, it came out better than expected. Really need to photo it. I have tested it in basic material, I am sure it will be even better in the frosted stuff.